Phyllostachys nigra, Black Bamboo, offers great color contrast in the landscape, with it’s dark culms (stalks) and soft textured leaves. Looking to reduce noise and improve views? Black bamboo has an erect, structural habit that creates a quick-growing natural screen. Culms of Black Bamboo start out green and mature to black in their second season. This beautiful bamboo is a perfect match for Asian inspired gardens or contemporary designs. Black Bamboo can be grown virtually anywhere as long as adequate moisture is present. The more moisture that is available, the more black bamboo will spread, so be sure to plant in a space that offers room to spread. Typically evergreen, Black Bamboo may require some clean up from frost damaged culms in cooler zones. 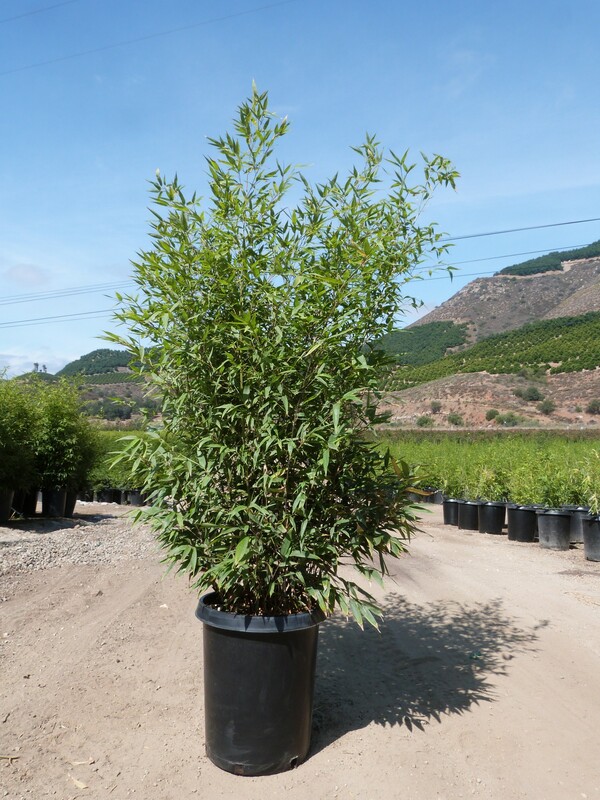 Black Bamboo performs best in loose, fertile, well-draining soils and is great for the low maintenance gardener, as it is not susceptible to many pest or diseases.